Comic books, strips, etc. ; Juvenile literature. Avengers Assemble! From Abomination to Wolverine, find out everything about your favorite Marvel Avengers super heroes and villains. This chunky, info-packed guide takes you alphabetically through the Avengers universe, shedding new light on characters like Iron Man, Spider-Man, Wolverine, Thor, and Captain America, giving you more detail about their powers, weaknesses, enemies, and origins than any other book on the market. 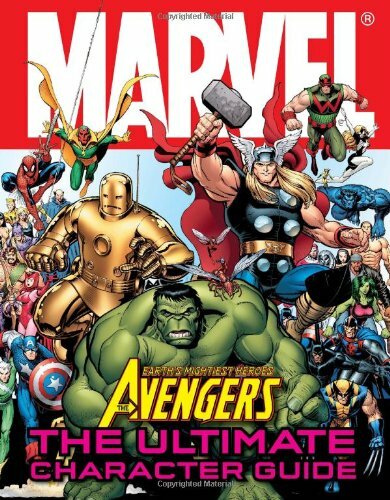 Exp upd re edition from Dk Pub (March 3, 2015); titled "Marvel Avengers The Ultimate Character Guide: The Ultimate Character Guide"
About: A guide to the characters of the world of Marvel Avengers — updated and expanded! With Thomas Hardy, Alan Manford (other contributor) | Reprint edition from Oxford Univ Pr (August 1, 1985); titled "A Pair of Blue Eyes"